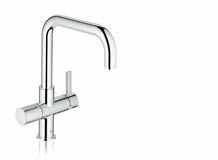 Designed with your needs in mind, our award-winning kitchen mixer faucets are made from the finest materials and feature the latest technologies – to stand up to the daily demands of a hard-working kitchen. Low spout, medium spout or high spout. Whichever style you choose, GROHE ComfortHeight ensures that the spout of your kitchen faucet has been designed to accommodate large pans with ease. 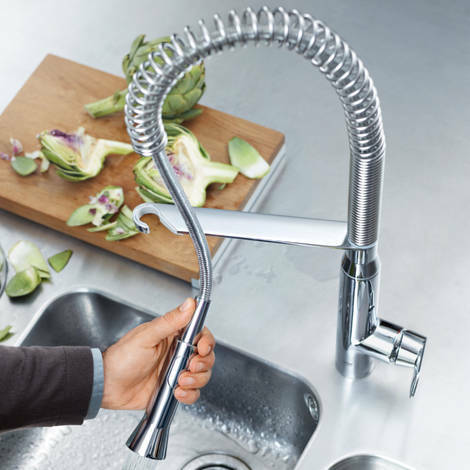 From rinsing fruit and vegetables to cleaning greasy pans, a pull-out faucet with spray is an essential piece of kitchen equipment for the home chef. Several of our kitchen faucets ranges include designs with a pull-out or pull-down spray. 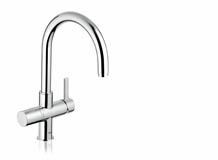 On several of our kitchen faucets the lever handle is located on the side of the faucet body. To ensure comfortable use when the faucet is positioned in front of a wall, we have re-aligned the faucet cartridge so that it turns 70° to the front and 30° to the back. We have designs to suit all styles of kitchen. To make your choice easier, our collections are segmented into three distinct style groups: Cosmopolitan, Contemporary and Authentic. Many of our kitchen faucet designs coordinate with our bathroom ranges. Pulling together a cohesive look throughout your home has never been easier. 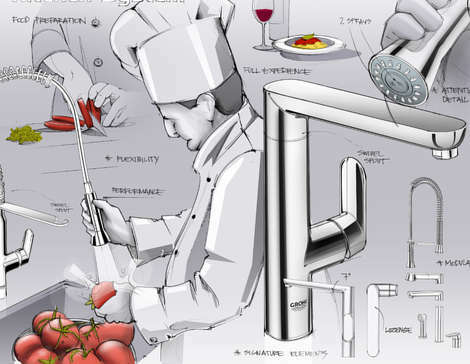 GROHE kitchen faucets are designed to last a lifetime. During the development of a new product, all new materials and components are tested to ensure they meet our high quality standards. 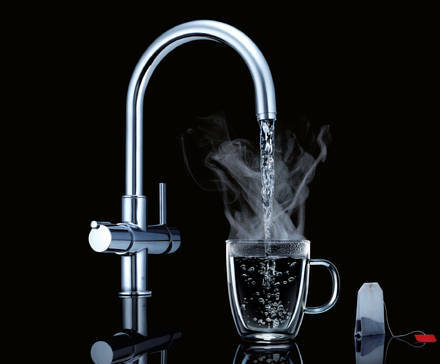 Our kitchen faucets are subjected to extensive life tests, which simulate years of daily use. 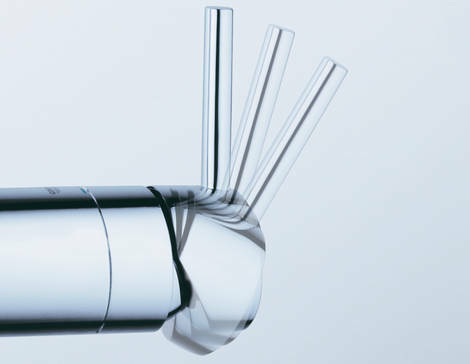 This ensures that all of our products deliver perfect performance for years to come. 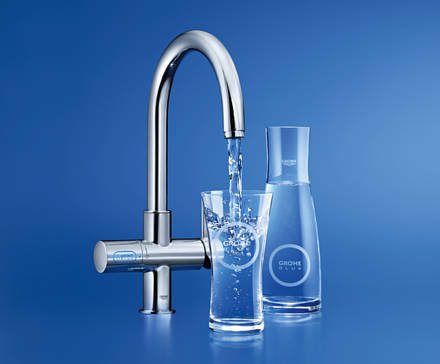 Single-lever kitchen faucets with GROHE SilkMove® technology. An extra-wide angle of operation and premium ceramic discs ensure effortless control of the water temperature and flow, even with wet or greasy hands.